She was born on January 28th, 1955 in Philadelphia, Pennsylvania, the daughter of late Robert and late Lillian Cheney (Bialek). She grew up in Lowell Massachusetts where she attended area schools and received her G.E.D. Patricia settled in New Hampshire, where she lovingly raised her 3 children. Patricia worked a number of manufacturing positions and last worked at Insight Technologies in the stock room. She also worked for several years as an LNA. Patricia had a love for animals and cared for her small dog Snuffy and cat Goobie. She also enjoyed feeding the birds, which she did daily. She loved to cook and spend time with her family. She was always quick to make a cup of coffee for anyone who visited. Patricia loved the ocean, sea shells and the warm sun shine. She had a particular love of Cape Cod. Patricia will be deeply missed by her 3 children Daniel Smith and partner Sheryl of Hudson, Pamela Smith and partner Mandie of Hillsboro, and Michael Smith and (wife) Kerry (Ramsey) of Hudson. She is also survived by her sister Deborah Cheney and partner Edwin Vazquez of Lowell, Massachusetts and one brother Robert Cheney Jr. of Manchester, NH. Additionally she is survived by her grandson Darren, and two Granddaughters Neveah and Briar, all of whom she cherished dearly. She will also be missed by her companion Michael Albuquerque. 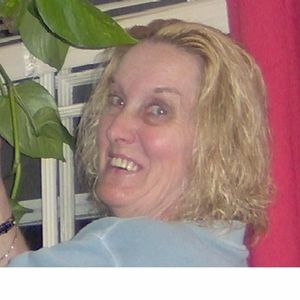 She was pre-deceased by her sisters Joanne Motard and Carol LaMarche, both of Lowell, Mass. A celebration of life memorial service will be held at Phaneuf funeral home at 243 Hanover St. Manchester, NH on Thursday April 18th, 2019 from 6pm to 8pm. Donations to assist with cremation and memorial expenses can be made to Pamela Smith P.O. Box 995 Hillsboro, NH 03244 and are greatly appreciated. Mom, may you warm us all as you shine down like the sun from above.